﻿	WorcesterVista.com » Engine Power. Blowlamp is pointing at the “Hot Bulb Plug”. The silencer is as big as the engine. Max. into existence in the early 1920’s. Very quickly the Swedish Bolinder established a reputation for strength and reliability. They were two stroking Semi Diesels of 9, 15 and 30 horsepower. starting was by heating a steel bulb, like a sausage sticking out of the cylinder head,with a blow lamp until it glowed red. Then a spring loaded pin was pulled out from the front of the flywheel, a couple of priming strokes on the feed pump, and then a smart kick on the pin to spin the engine. 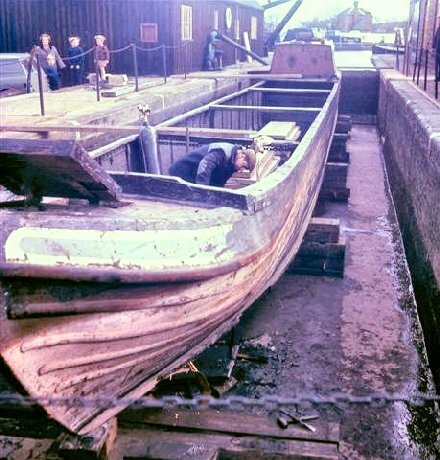 Too much fuel and it could backfire and break your ankle, the thirty horse model could throw you against the cabin wall, or if you accepted the advice of the old boatmen you opened the double engine room doors and were shot out for a soft landing in the canal. The drive was direct without any gear box, to reverse the boat you slowed the engine until nearly stationary and then reversed the injection position with a smart pull on the lever and the whole contraption reversed.The sound was marvellous and could be heard for miles, the huge single piston would shake the boat so you literally danced along the canal. My 9hp Petter had a simple epicyclic gear for reverse and was very popular on the Severn. 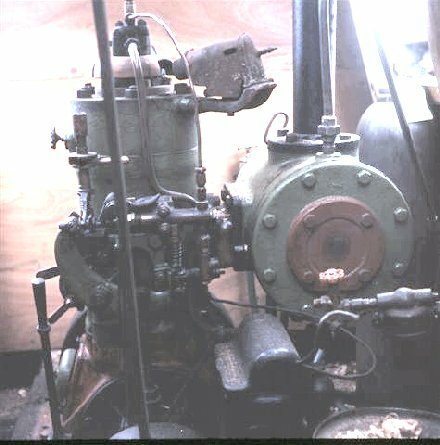 “Vesta” was equipped in 1935 with a twin cylinder National engine, still hand started with a decompressing crank handle. On a winters day I would finish up hanging out of the doors exhausted. This was the first boat with a dynamo for battery charging giving us electric lights to replace the oil lamps. 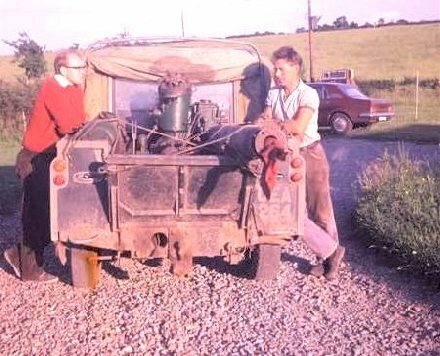 I also had a 9hp Bolinder which we used to run in the garden until I gave it to the boat museum, we could dance it up and down the drive on sleepers. We were Bringing “Adder” through Wolverhampton when the water flow failed with leaves sucked through the filter.We had to remove the cylinder head and scour out all the water ports. To keep the cylinder clean we stuffed it with a large sack. By the time we finished reasembling the engine it was dark and just as Eric lit the blowlamp I asked if he had removed the sack.”I thought you had done it” was the response, “Oh well here goes” After an extra ten minutes on the blow lamp he gave it a mighty kick, followed by a masive bang and Wolverhampton saw its first atomic cloud emerging from the vertical exhaust pipe. It was another twelve months before we opened it again. very forward thinking and may have used one. The first motor boats had the engine on the cabin top with the shaft over the boatmans head to an outdrive in the rudder, a lethal set up in every way. There were dozens of steam boats but with heavy engines,large boilers and the coal, half the boat was taken away from cargo carrying. The soot in the tunnels was terrible and had to be swept with brushes the diameter of the tunnel. Max. In the Tardebigge, Bromsgrove dry dock having new Elm bottom planks, stacked in the hold, fitted. The old Landrover looks like it has seen better days, could those rear tyres be nearing replacement? 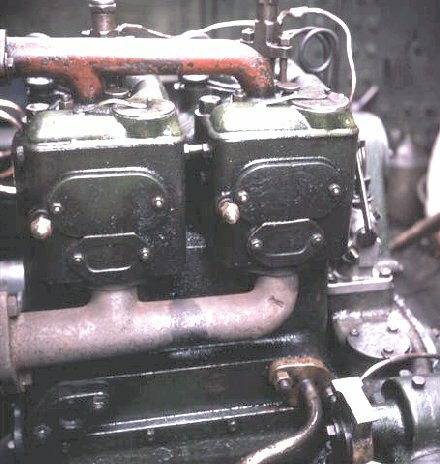 1935 National 2D in Vesta’s engine room.